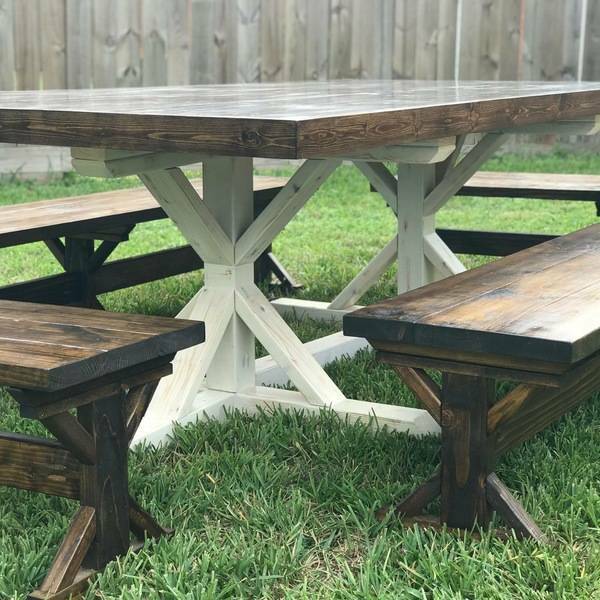 My husband and I LOVE our table! 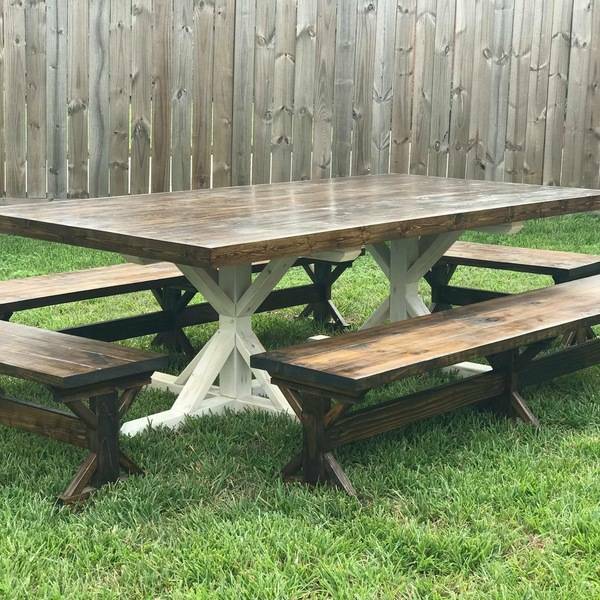 This is a 4’X8’ dining room table with 4 benches to match! We love our Shanty 2 Chic designs! Can’t wait to build more!! These turned out beautifully! What type of stain did you use? We like the white legs with the dark wood! We used Minwax stain in dark walnut for the top and Minwax White Base Tint for the bottom!